kabul0515_38f: All the Good Stuff: Jim Barcus is a Kansas City-based photographer specializing in editorial, sports, commercial and portrait photography. 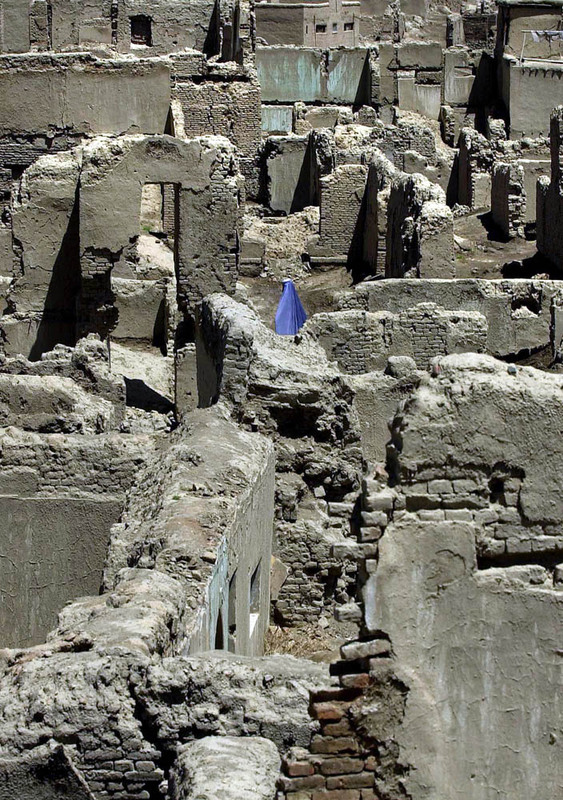 An Afghan woman bearing a burka walks through the bombed out village of Shorbazar, which is the old city of Kabul. Although the city is mostly unliveable, Afghans reside in the old village that was bombed as recently in 1998.